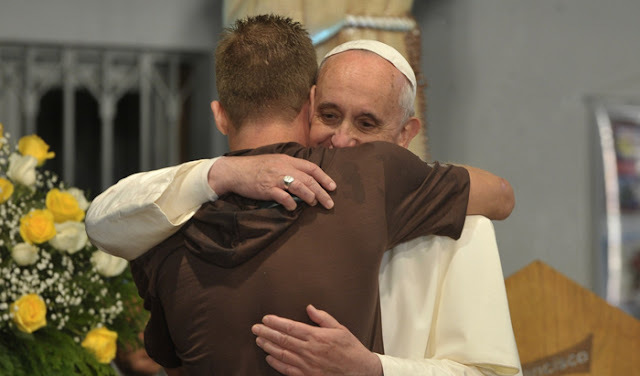 Catholic News World : #PopeFrancis Special message to thousands of Taizé youth “promote a culture of mercy based on the rediscovery of encounter with others"
#PopeFrancis Special message to thousands of Taizé youth “promote a culture of mercy based on the rediscovery of encounter with others"
Pope Francis has sent a message to young people from across Europe who are attending the annual Taizé Community Meeting for Young Adults taking place in Basel. He focussed on the need to promote a culture of encounter and to pursue the path of Christian unity. Pope Francis has sent a message of blessing and encouragement to the thousands of young people gathered in the Swiss city of Basel for the Taizé Community’s annual European Meeting of Young Adults. In the message, signed by Vatican Secretary of State Cardinal Pietro Parolin, the Pope invites participants to spread the joy of the gospel and to stay connected to the Lord by praying and listening to his Word so that he may help them develop their talents in order to promote a culture of encounter. The Pope also recalled the marking, in 2017, of the 500th anniversary of the Reformation and invited the young people to continue to be enriched by the diversity of the gifts given to all disciples of Christ and to show the world that the Gospel unites all Christians beyond the wounds of their divisions. You have come from all over Europe to Basel which is at the crossroads of Switzerland, France and Germany, to participate in the 40th European Meeting organized and animated by the Community of Taizé. You are driven by the desire to deepen, together, the true sources of joy. And ‘joy’ is the theme that will guide your reflections and enlighten your prayer. In this perspective, Pope Francis wants to assure you of his great spiritual closeness. Indeed, as he wrote in the Apostolic Exhortation ‘Evangelii Gaudium’: “The joy of the gospel fills the hearts and lives of those who meet Jesus. Those who let themselves be saved by him are free from sin, sadness, inner emptiness, isolation. With Jesus Christ joy is born and reborn forever”. The Holy Father is delighted to know that you have chosen to participate in this meeting to welcome and deepen the message of Jesus which is a source of joy for all those who open their hearts to him. And he thanks you for responding to the call of the Lord who brings you together in the joy of his love. The Pope encourages you to live in this joy that comes from your friendship with Jesus that never closes us to others or to the suffering of this world. And he invites you to stay connected with the Lord, by praying and listening to his Word, so that he may help you develop your talents in order to “promote a culture of mercy based on the rediscovery of encounter with others, a culture in which no one looks at another with indifference or turns away from the suffering of our brothers and sisters.”(Apostolic Letter Misericordia et misera, n.20). The 500th anniversary of the Reformation was marked during the course of the just-ended year, and the Pope asks the Holy Spirit to help you, young Protestants, Catholics and Orthodox, to rejoice and to enrich each other with the diversity of the gifts given to all disciples of Christ, and to show that the joy of the Gospel unites us beyond the wounds of our divisions. He also encourages you not to be afraid to walk the paths of brotherhood so that your meeting in Basel will make visible the joyful communion that springs from the source of the overflowing heart of the Lord. By entrusting yourselves to the Lord, so that you can sing with the Virgin Mary the marvels of his love which is the source of joy, the Holy Father bestows his heartfelt blessing upon you, young people participating in this meeting, upon the Brothers of Taizé as well as upon all those in Switzerland, France and Germany who welcome you. The Taizé Community is an ecumenical Christian monastic order founded in 1940 by Brother Roger Schutz, a Reformed Protestant, who wrote the guidelines for the community’s life. The community has become one of the world's most important sites of Christian pilgrimage, with a focus on youth. Owing to the founder's commitment, since its inception the community has evolved into an important site for Catholic-Lutheran ecumenism. Brother Alois succeeded as prior after his predecessor's death in 2005.